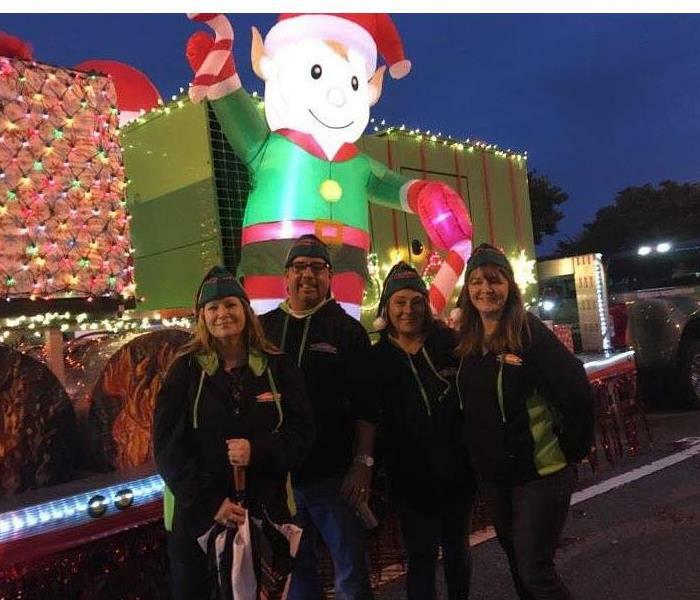 SERVPRO of Virginia Beach Crew. Our entire team takes great pride in the work we do. We continuously receive training in different aspects of the job to ensure all staff are up-to-date on required skills. Anna is an Owner and Brand Development Manager at SERVPRO of Virginia Beach. She was born in Annapolis, Maryland, moved around a bit when she was younger, and has lived in Virginia Beach since she was 5. She graduated from Cox High School and attended Tidewater Community College and Old Dominion University. She loves spending time with her husband Jason and 3 children; Ray, Maddox and Charlee and their 2 dogs; Bella and Molly. Anna was raised in the industry and bleeds SERVPRO green and orange. 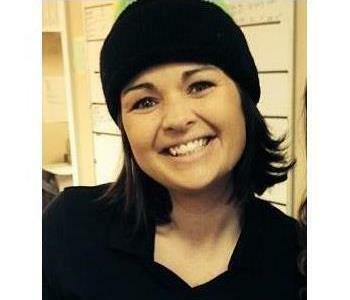 She has worked on & off at SERVPRO since she could fold an envelope and has been here full time since December 2007. She loves her life and career at SERVPRO of Virginia Beach and being able to help our customers in their time of need. 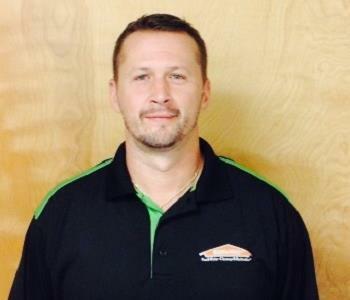 Jason Cheracles is Operations Manager at SERVPRO of Virginia Beach. He was born and raised in Virginia Beach. He is happily married with 3 kids. He has worked at SERVPRO of Virginia Beach since 2008. Jason grew up playing baseball, basketball, and football. He loves to golf and fish. 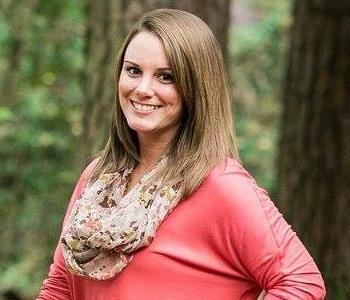 Katie Anderton is a Departmental Manager at SERVPRO of Virginia Beach. She grew up in Virginia Beach and attended Cox High School. She played soccer for 12 years and loves to hunt and fish whenever she possibly can. Katie has 2 kids that constantly keep her moving but bring her such much happiness. SERVPRO has been a part of her life since she was born and she is ready to be a part of the next generation to take over a company her parents have built into such an amazing business. Wally Anderton is a Large Loss Manager & Warehouse Compliance Manager at SERVPRO of Virginia Beach. He is from Virginia Beach and graduated from Cox High School. He likes to hunt and fish. Tim Caudle is a Production Manager at SERVPRO of Virginia Beach. He is from Virginia Beach and went to Cape Henry Collegiate & graduated from Lynchburg College with a Bachelors degree in Communications with an emphasis in Electronic Media. Tim played lacrosse for both Cape Henry & Lynchburg College. He enjoys playing disc golf and a nice, cold craft beer. He has no children, but he does have an amazing girlfriend by his side putting up with him daily. Tim has worked with SERVPRO of Virginia Beach since the beginning of 2015 but has been in the construction business since 2006. He is a very sarcastic person who enjoys a great joke. He also tries to be very positive with a positive outlook on life. Duane Dickinson is a Project Manager at SERVPRO of Virginia Beach. He grew up in Virginia Beach and attended Bayside Elementary, Middle and High Schools. (Go Marlins). He played basketball his freshman and sophomore years. He attended Tidewater Community College. Duane is engaged to Lashonda Thompson. He is an Xbox fan and a Redskins fan (HTTR). 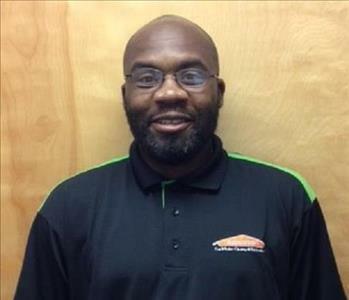 Duane has worked at SERVPRO OF VIRGINIA Beach since 2005. He is hardworking, a team player, and funny at times, helps others, and is smart. - SERVPRO Employee Certification Training Program (ECTP) in Crew Training, Water, Fire, and Carpet & Upholstery. Justin Kretzer is a Project Manager at SERVPRO of Virginia Beach. He grew up in Gaithersburg, MD and went to Allegany High School. 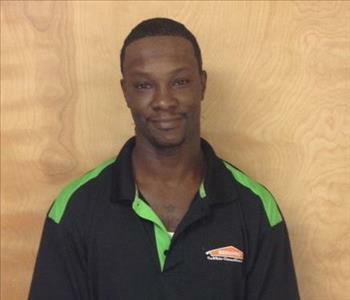 Justin has worked with SERVPRO of Virginia Beach since 2010. He likes movies, sports, and working out. Dainan Gibson is a Brand Development Coordinator and Restoration Consultant at SERVPRO of Virginia Beach. She grew up in the Northern Neck and later moved to the Fredericksburg Virginia area where she raised 3 children (2 sons and a daughter). She enjoys football, kayaking, weight lifting/strength training and mindset coaching. Dainan loves music and singing and manages 2 local bands (No Shots For Ben and Bulletproof). Since moving to Norfolk, her family has grown to include 4 granddaughters, 2 puppies, 1 dog and a cat. Dainan has worked at SERVPRO of Virginia Beach since May 2014 and her specialty is in large commercial and military. She is a current member of SAME and serves on the board of IFMA, USGBC, AGCVA, and PHCC. - SERVPRO Employee Certification Training Program(ECTP) in Crew Training and Commercial Restoration Training Program(CRTP). 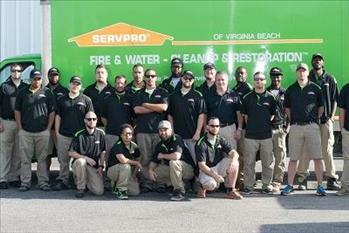 Corey Doe is a Restoration Consultant at SERVPRO of Virginia Beach. Corey is originally from Watertown, NY but visited over 40 countries throughout his 22 year career in the United States Navy. After retiring from the Navy, Corey now spends his time with his wife and two children or on the golf green. 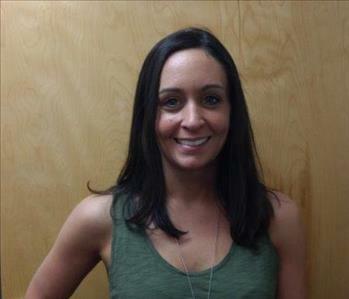 Angela Meyer is a Restoration Consultant at SERVPRO of Virginia Beach. Although she is new to SERVPRO she brings over 16 years of sales and management experience. 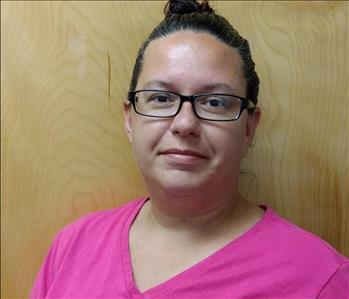 Angela believes in the services we provide and loves being able to help our customers in their time of need. She sees herself being with SERVPRO of Virginia Beach for many years to come. Originally from Brooklyn, NY, Angela graduated with honors from Baytown Catholic Academy in Crosby, TX. She is a HUGE fan of the New York Giants, the New York Yankees and the New York Rangers. She also loves spending time with her husband, Ken. They have a blended family that consists of 6 children; Cassandra, Anthony, Elaine, Jessica, Tyler and KJ. Angela’s four grandchildren – twins Giovanni and Antonio, Kyle and Lilee – are her world. She loves cooking big family dinners every Sunday – Italian is her specialty! Amber Megrath joined SERVPRO of Virginia Beach as the Office and Marketing Support Coordinator in April 2018. Born and raised in Vermont, Amber moved to Virginia Beach to escape the cold. 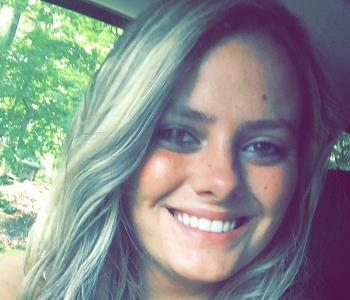 She has two children; daughter Kelsey is currently attending Tidewater Community College and son Derrick works in the granite industry back in Vermont. Amber enjoys going to the beach or relaxing by the pool. 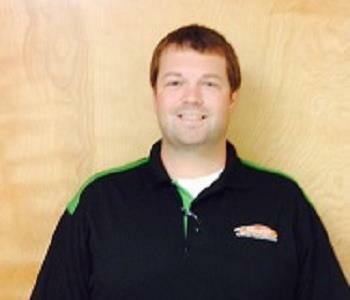 Daniel Biondie is a Crew Chief at SERVPRO of Virginia Beach. He is from Dayton, Ohio and went to Fairmont High School. He has 2 kids and has been in the restoration business since 1999. 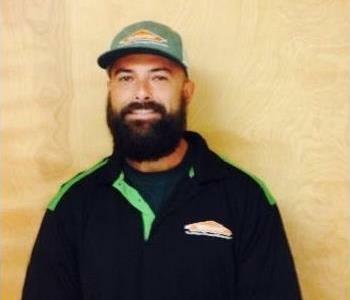 Esteban Casillas is a Crew Chief at SERVPRO of Virginia Beach. He was born in Brooklyn, NY and moved to Virginia Beach in 1998. He went to Green Run High School. Esteban has 3 kids, 16, 7 and an almost 1 year old. He is an outdoors person and loves the water. 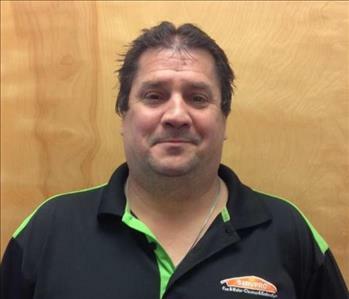 Gary Moore is a Crew Chief at SERVPRO of Virginia Beach. He was born in Rota, Spain. He comes from a military family. He attended and graduated from Kempsville High School in 1996. He played baseball and football his whole life, and still does. Gary collects baseball cards and attends sports games. He has one 11-year-old son. Gary has worked for SERVPRO of Virginia Beach since 2013, but has been in the restoration business since 2007. He is a hard worker. 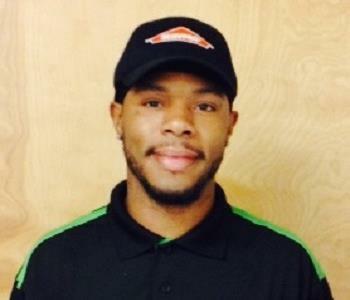 Deandre Reeves is a Production Technician at SERVPRO of Virginia Beach. He grew up in West Chesapeake and attend Western Branch High School. He enjoys music recording, and boxing. He is an Eagles Fan! He has no children of his own. 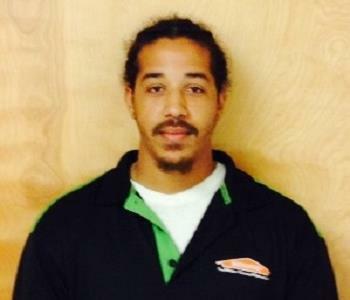 Deandre has been working at SERVPRO of Virginia Beach since 2014. 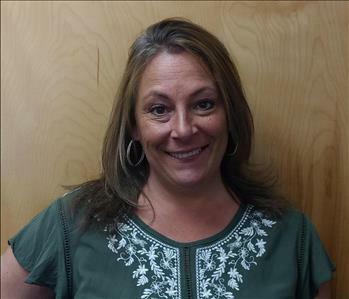 Lisa Corley is the Office Manager at SERVPRO of Virginia Beach and has been with the company since 2012. She has three boys ages 17, 6 and 4 and her world revolves around them. 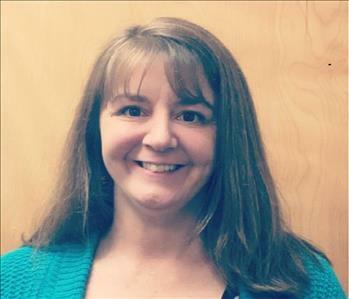 Lisa was featured on SERVPRO'S "Find the Best, Share the Best" series for Office Managers. In her off time, she enjoys binge watching Netflix, being at the pool/beach and napping. - SERVPRO Employee Certification Training Program (ECTP) in Crew Training. Nadya Hassan has been an Administrative Assistant with SERVPRO of Virginia Beach since February 2017. She has been in the restoration business for about 3 years. Nadya loves doing everything with her three kids; they are her pride and joy. Nadya’s husband was previously in the Navy. They have been married for 6 years. 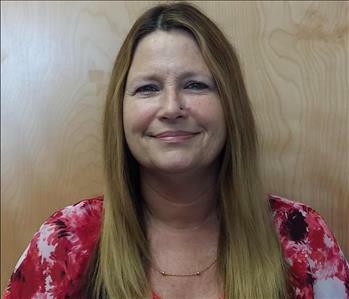 Pam Lawson is an Administrative Assistant at SERVPRO of Virginia Beach. She grew up in Virginia Beach and has 2 children. One is a R.N. and the other still completing his college education after 2 years at Virginia Wesleyan. Pam has a special place in her heart for FIREFIGHTERS as her late father was a City of Norfolk Retired Firefighter of 35 years. She loves the Tidewater area and especially the military and the "Sound of Freedom" in our backyard. She is a BIG TIM TEBOW FAN, as well as a fan of football overall. Her work experience involves being in sales for over 20 years. Sarah joined SERVPRO of Virginia Beach as an Administrative Assistant in May 2017. She is the mother of 3 boys and has been married for 13 years. Sarah grew up in Virginia Beach, attending Rosemont Elementary, Larkspur Middle School and Green Run High School. She enjoys watching baseball and football. Sarah also volunteers for the little league team that her son plays on. 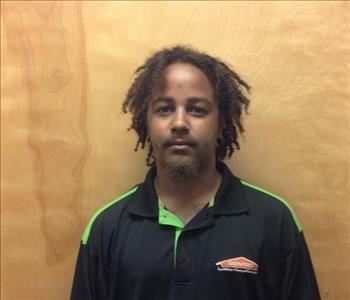 Travis Johnson is a Production Technician at SERVPRO of Virginia Beach. He grew up in North Carolina and Virginia and graduated High School in 1999. He played basketball and ran cross county. He enjoys just chillin' at the house and playing pool for fun and fishing. Travis has been married since 2005. 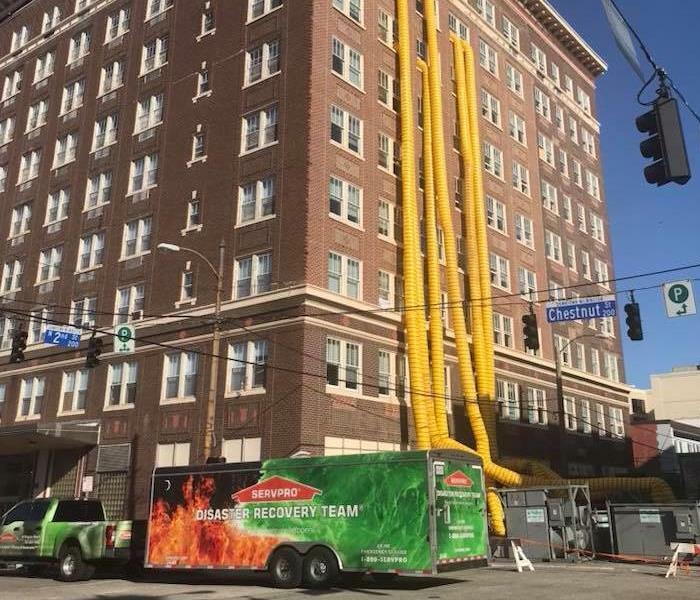 He has worked for SERVPRO since July. Travis served 14 years in the Navy and went to Iraq three times and Afghanistan once and survived it all. 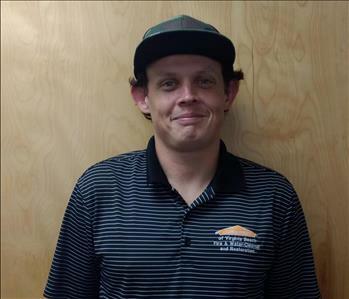 Kristofer Spell (prefers to be called Kris) is a Production Technician at SERVPRO of Virginia Beach. He is from Virginia Beach and has been in the restoration industry since 2013. He feels his job is a great learning experience and he is glad to be part of a team of dedicated and hard workers. Kris has 2 brothers and 1 sister. He likes to go to the beach, out of town and to go site-seeing. 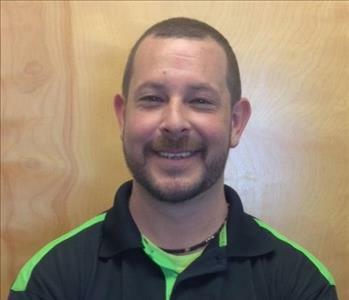 Stefan Spell is a Production Technician at SERVPRO of Virginia Beach. He grew up in Virginia Beach and has worked at SERVPRO of Virginia Beach for 4 years. Stefan likes sports and is an active person. He is friendly, likeable and works hard. He likes to look good and stay positive about things. Stefan has two beautiful kids. Rhett joined SERVPRO of Virginia Beach after being adopted by owners Bob and Beth Simeone in 2015. 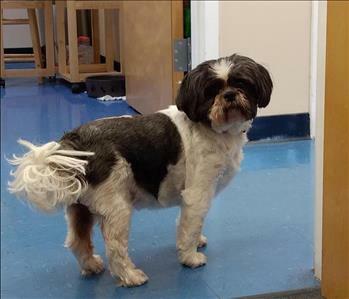 Rhett is in charge of making sure that no food is left around, even going through garbage cans in the office to find snacks. In his spare time Rhett can be found playing with the Simeone’s five grandchildren. 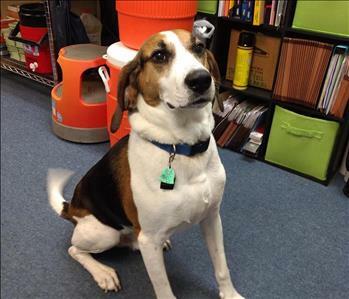 Bella began working at SERVPRO of Virginia Beach in 2008 while she was just a puppy. She has taken on the role of guard dog and frequently growls to let us know when we need to get back to work. When Bella is not at the office she enjoys snuggling up on a pillow for long naps.